To survive, compete and grow, it is necessary – no mandatory – to have a brokerage that can work within the constraints of lender inconsistencies while incorporating client retention, marketing, changing demographics, the ability to attract and retain top level associates, with the efficiency and the foresight to overcome present and future challenges. All of this is in the face of increasing expenses and added competition. The nature of the business seems to indicate that either you remain very small, boutique, or get much larger. Staying in between is a hard position to maintain, one probably not sustainable over the next several years. Although these associations, the networks, offer advice, systems improvement and better marketing it comes at a cost to the individual brokers. Nothing is free. The merging of two or more smaller or midsize mortgage brokerages into one that is larger allows for greater market penetration potential and can more successfully attract capable associates. It can also offer a wider range of services and client satisfaction is one of the ways to beat the odds. The larger office can garner and retain clientele where it may not otherwise be able to do so. It can better provide a wider range of services and more diversified expertise to its clients. 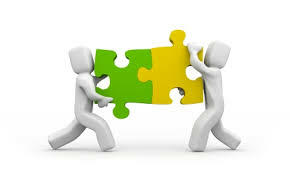 One of the principal advantages of mergers is synergy, primarily financial, but also in terms of efficiency. The merged group’s value is often more than the sum of the individual contributors. Two plus two equals five or more. Cost savings and growth potential can be a direct result of size and diversification that the smaller one- or three-person firm cannot attain. Sometimes amalgamations are brought about because of a crisis situation, which is the worst of all reasons to merge. Joining up with another brokerage may not eliminate all of the problems and could exacerbate some. The large brokerage, with more offices serving a wider geographical area and with a larger staff of both associates and clerical staff will require additional management control. The principal difficulty is incompatibility with other merger partners and differing expectations of what the merger will accomplish. If the objectives are fuzzy so will be the results. Not everyone is a team player. Yet, this is what each must be if the merger is to be successful. Incompatibility can take different forms such as conflicting objectives, differing talents, competency, work ethic and financial contribution. Some mortgage brokers are excellent salespersons who can attract a wide cadre of clients, but are poor managers, and vice versa. Still, all must promote the welfare of the group, not that of any individual associate. There is a loss of autonomy from that of the smaller firm. This implies central governance, physical integration and at times sacrificing personal preferences for the good of the whole. Without commitment, the merged brokerage will be nothing other than a disjointed collection of individuals whose cost of doing business and other drawbacks could be greater than before. The starting point is a roundtable discussion of what is wanted, what is expected, what each brings to the table and what each participant hopes to achieve. When there is a melding of objectives, all have agreed to the basics and have laid out rudimentary guidelines; the next step is to undertake a detailed pre-merger assessment of each individual brokerage. • The market–going concern value of each brokerage, the tangible and intangible assets. • The history of each brokerage, annual income, operating expenses and net pre-tax profit. Valuations are always made after tax but for this exercise it should be pre-tax. • The sales and support staff of each, the amounts and per cent of commissions paid to sales associates, staff salaries, bonuses, etc. • Are the sales associates employees or independent contractors? • Leaseholds and furniture, fixtures and equipment (FF&E) that could be occupied and/ or used by the merged firm. Value and compensation arrangement. • A detailed personal compatibility analysis. • An assurance that all participants will be better off after the merger. Combining two or more mortgage brokerages into a single firm is never an easy task. It takes time and money. You will require a good accountant, a lawyer, a business appraiser qualified to appraise each brokerage and depending upon the number of prospective partners and the hurdles to be overcome, perhaps a facilitator to tie it all together. Don’t rush into it. Many what-could-be successful mergers fail because the participants are impatient or lack sufficient guidance to resolve the many decisions that must be made. Some may feel that the end product is not worth the bother. Strive for a tax-free vending in of equities. Get the best advice from a qualified tax accountant. There is no point going through all of this only to see your gains frittered away to The Canada Revenue Agency. Mergers are not for everyone yet are a viable mode for smaller and midsize firms that are not interested in the franchise-association route yet wish to take full advantage of the growing market and diversification that is available through size and efficiency. It is important at the outset to agree on the rules for buying in, management, daily operation, opting out and involuntary exit. The legalese and an agreement as to who does what and how each is compensated can be negotiated and agreed upon. However, no legal document can take into consideration relationships or how well the brokers will work with each other now or in the future. Compatibility and mutual interests are the most important part of making it all work. Mergers can produce great benefits for the participants, change borderline or single product mortgage brokerages into successful ones. Through the efficiency of size, they can provide many benefits for the partners and enhance services for their clientele. Still, mergers must be properly set up, judiciously managed and frequently monitored. Most often they are an act of faith. You get as you give, quid pro quo. This is a slightly amended version of an article written by industry veteran Lloyd Manning. It has been shortened to make it suitable for web publishing.